I would like to design an ultralight airplane, which probably the total mass will be around 400kg. The speed should not exceed 200km/h. Forget about what the engine I will use. I intend it can land and take off in a small road and/or in a common road, which the road line not more than 2.5m each direction. If I have to occupy both direction, mean the road width is just around 5m, plus small space beside the road in both side. Beside the road, normally many electrical poles. So, not many space available. To tackle the situation, I need to change wings design without reduce the wing area (A in m2). Was discussed earlier here some of the triplanes that were used during the WWII. If they were used during the war, that mean that such design was safe enough. But, I have a bit confusion regarding how to place the wings' stack? Here are the three options design. The wings stack are lean to the tail. The wings are stacked exactly over another. The wings are lean to the nose. Another thing. We know that the closer wing to the ground will produce what is called earth deflection (CMIIW about the terminology) during take off. That will make the plane requires longer time to take off. In my opinion, the same effect will occur if we stack the wings too closed one to another, especially if the wings are stacked lean to the nose, the deflection will hit the lower trailing edge if there is no enough space. So what is the best design in this case? And what is the best space? 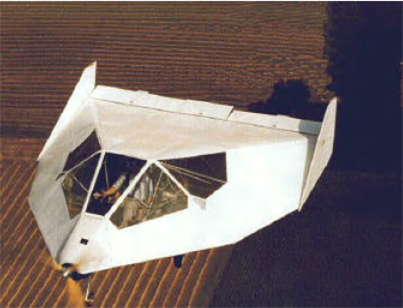 Wing stagger was mostly chosen to improve pilot vision: In single-seaters, a positive stagger would allow to place the upper wing ahead of the pilot, improving the field of view. Large bi- and triplanes had no stagger. Here the pilot sits ahead of the wing and large aircraft fly mostly straight, reducing the need for the pilot to observe the airspace around him. However, if you look for a proven design of a very compact triplane, I would like to suggest the Italian Pensuti triplane. It had a wingspan of only 4 meters and a total weight of just 230 kg. 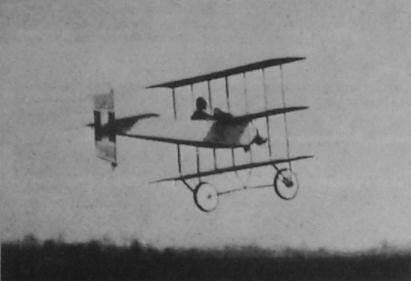 Emilio Pensuti, a test pilot with Caproni during WW I, designed it as an easy to fly aircraft for the common man. Therefore, it is sometimes also called the Caproni-Pensuti triplane. The first version was powered by a 35 HP Anzani engine while a later development, the Breda-Pensuti 2, used a 80 HP engine. Of course, its wings had no stagger. 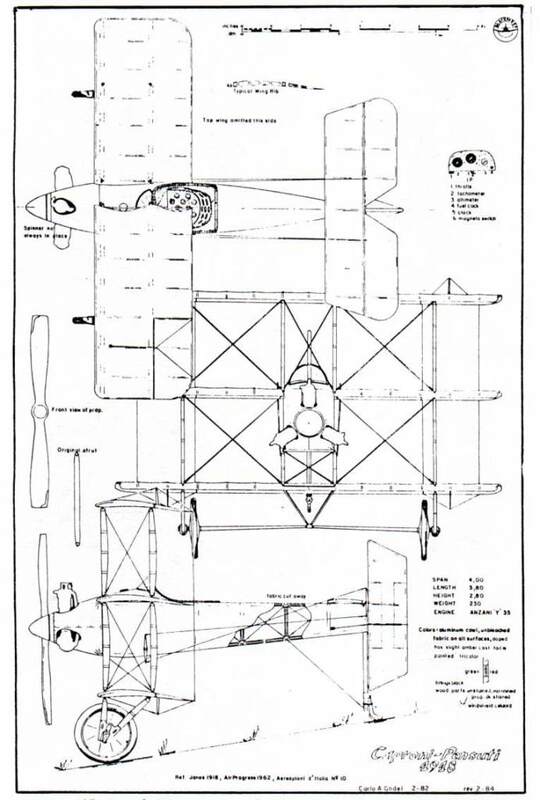 Drawing of the Pensuti triplane (picture source). Yes, it did fly! 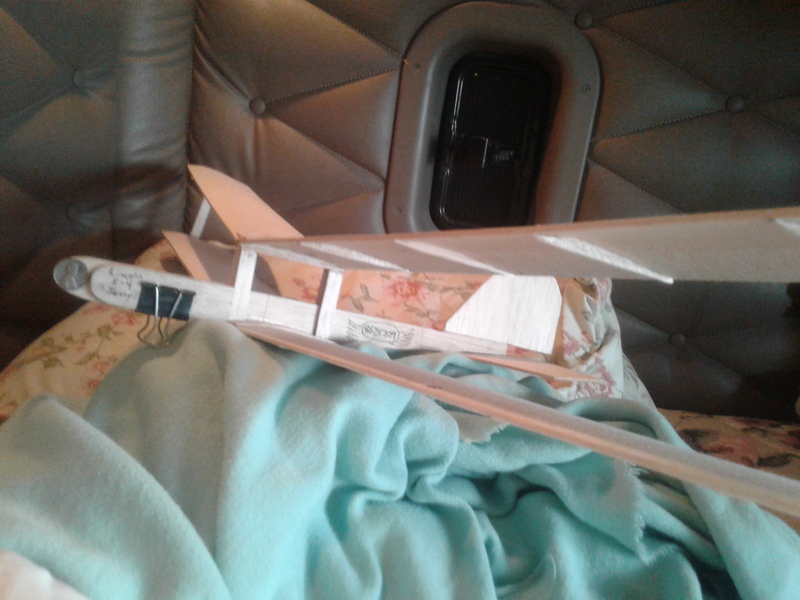 If you build one, I would strongly suggest to change the wing airfoil to a thicker one with the same amount of camber. 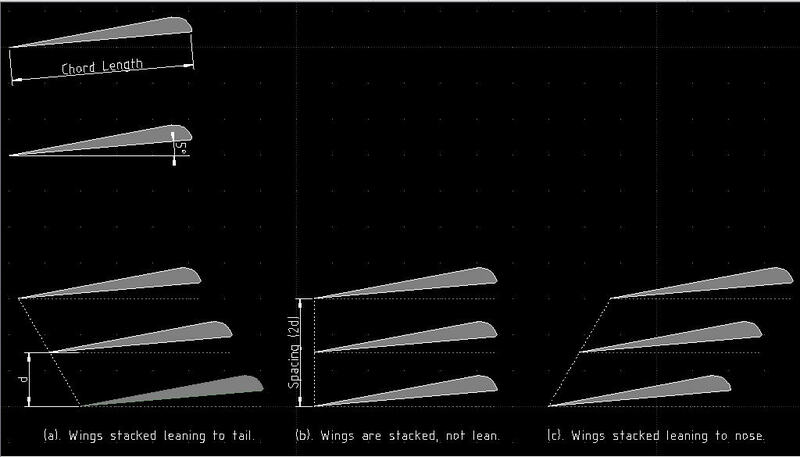 Do note that total wing area of a multiplane (biplane or triplane) wing configuration does not give the same performance as that same area with a monoplane. For a monoplane, all the wing deflects air downwards yielding lift. For a bi- or tri-plane, the wings all deflect the air together, reducing the effect of each. So a Cessna 152 with a 33 foot span would not fly if converted to a biplane with a 16.5 foot span or a triplane with an 11 foot span, to give an example. Thus the concept of span loading. All fixed wing aircraft get their lift by deflecting air down as they pass. The amount of air they can deflect depends on their speed, their span and their weight. For minimum airspeed, the use of high lift devices is more effective than adding multiple wing planes. The main reason biplanes and triplanes were common in WW1 was for strength with the materials and understanding of aerodynamics at the time. You might also note that many single place experimental aircraft designs have 5M spans already. To answer your explicit question, I'll note that both the Sopwith Triplane and the Fokker Dr.I are arranged in the 'lean towards nose' style. However! The Wainfan FMX-4 Facetmobile might be of interest. A good starting point would be the Curtiss JN-4 "Jenny" biplane. Plenty of wing here, no need for triplane. You want long wings for easy slow handling. Warplanes designs generally are not as stable and do not make good recreational aircraft unless you are a very good pilot. Stacking wings leaning towards nose reduces interference and maintains airflow over lower wing at higher Angle of Attack, making for a gentler stall. This design is the fore runner of slats, which are also very effective. You also want wings spaced as far apart as you can for better lift (get rid of the third wing). It is surprising that there are not many recreational biplanes around these days, as they offer simple, rugged, reliably safe construction and lower flying speeds. I would recommend continuing to research this, particularly to get a good engine/aircraft match. Good luck! Why do most biplanes have their top wing slightly forward of the lower wing? 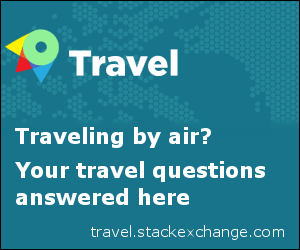 What is the best aircraft engine to be used on small aircraft? How to determine the bulge of an airfoil? How would a low-airspeed fixed-wing drone be designed to reduce effects from gusts and wind shear?